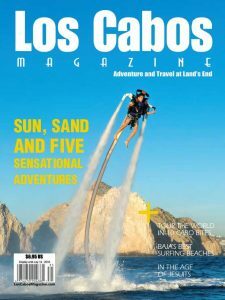 Cabo Tips is your vacation travel guide and portal for Cabo San Lucas and Los Cabos in Baja California Sur, Mexico. Cabo San Lucas, the land of Yenekamu . . . “the place of two waters”, covering the tourist areas of Cabo San Lucas, the 20 mile Tourist Corridor with luxurious resorts and signature golf courses, quaint San José del Cabo, the East Cape and adjacent areas. Los Cabos or “The Capes” is the official name of the municipality that includes the towns of Cabo San Lucas and San Jose del Cabo and the Tourist Corridor connecting them. Cabo Tips has helpful information about accommodations, restaurants, activities, snorkeling, SCUBA diving, day trips to nearby areas, eco-tours, hotels, resorts, shopping and stores, luxury villas, shopping, real estate, vacation rentals, general services and night life. Our goal is to respond to our readers requests and suggestions and continue building a web site tailored to the needs of Cabo San Lucas vacation traveler. 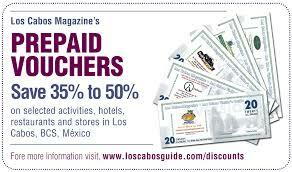 is the online digital version of the most comprehensive vacation travel magazine for the Los Cabos area of Baja California Sur, Mexico, and includes editorial, information, exquisite photography, and maps about Cabo San Lucas, San Jose del Cabo and Tourist Corridor. Published four times per year in full color.